Products-completed operations coverage pays for injuries and property damage caused by a business’ products or operations. 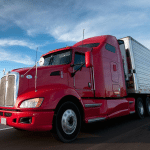 This coverage is included in standard general liability insurance and is essential for contractors, service providers, and businesses that manufacture, distribute, or sell goods. Products-completed operations coverage usually costs from $400 to $600 annually as part of a general liability policy. Getting the appropriate products-completed operations coverage starts with comparing quotes from multiple insurers. If you want to compare quotes from multiple top providers, CoverWallet can help. 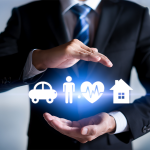 It works with top insurance providers, and its easy-to-use online application returns offers from all available carriers. Products-completed operations is a coverage found in general liability insurance. It covers claims that a business owner’s goods or services caused someone harm by paying the business’s legal defense in lawsuits or the injured party’s medical or repair costs. These claims are typically covered unless the general liability policy has an endorsement specifically excluding them. Because products-completed operations comes in general liability policies, most small business owners get it in their business owner’s policy (BOP). BOPs combine general liability and commercial property insurance into a single package, which allows insurers to offer essential coverages at a reduced rate. Most small business owners find the products-completed operations coverage in their general liability sufficient for their needs. However, some businesses, like manufacturers and product designers, face greater product liability risks and may need a standalone product liability policy. Product liability insurance is designed to meet that increased need and is typically sold through specialty insurers. Standalone product liability insurance works in much the same way as the coverage found in general liability. It pays for your legal defense if your product or service cause injuries or damages and only kicks in when damages occur away from your business premises. Product liability policies can have higher limits then what’s available in general liability. A low-risk business, like a retailer or distributor, might pay $1,500 to $2,500 per year for product liability insurance. High-risk businesses can pay substantially more, between $6,000 to $12,000 annually. Manufacturers often buy product liability insurance for the added protection because the product liability suits they face usually involve multiple incidents and plaintiffs. The costs can add up quickly, and manufacturers would be on the hook for large portions of it if they only carried general liability insurance with products-completed operations coverage. The products-completed operations coverage in general liability is typically written on an occurrence basis, which means the policy must be in effect when the injuries or property damage occur. Additionally, the occurrence that triggers coverage has to happen away from your business premises. These criteria can confuse policyholders when it’s time to file a claim. In these situations, the business owner can still be sued, but their legal fees and court costs will come out of their own pocket. 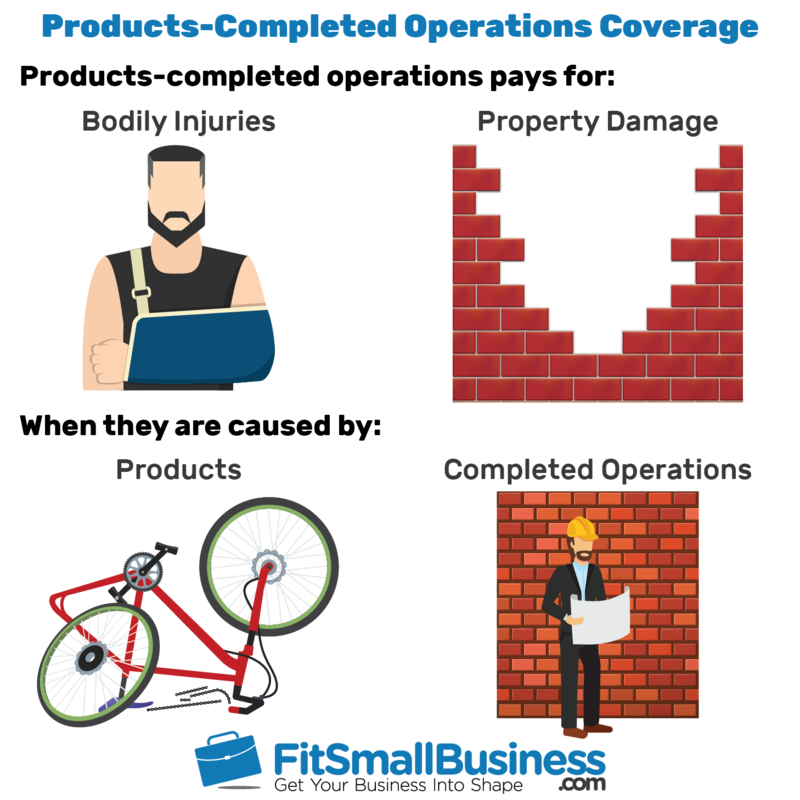 In general, products-completed operations coverage covers small business owners when someone claims they suffered bodily injury or property damage as a result of a business’s product or work. The types of claims product-completed operations typically cover include defects caused by accidents and intentional behaviors. If a business owner faces a product liability lawsuit, their completed operations coverage kicks in to pay for their attorney’s fees, court costs, and other legal bills. Products-completed operations coverage has three standard exclusions. Exclusions are situations that your insurance policy does not cover and are explicitly spelled out in the contract. There are three standard exclusions in completed operations coverage. Your products-completed operations coverage only kicks in for damage to property other than your product. Let’s say you sell appliances, and a customer receives a broken dishwasher. Your insurer won’t cover the claim because no other property has been damaged. However, if a busted hose causes flooding, your insurer will most likely cover the claim. Products-completed operations coverage also excludes damage to your completed work. For instance, imagine a carpenter completing a stairway that falls under the weight of the client. That client might only sue for the damaged stairway. Because that’s the carpenter’s work, the insurance company won’t pay. However, the claim may be covered if the client sues for other damage the falling stairway causes. Subcontractors are an exception to this exclusion. If the carpenter had hired a subcontractor to build the stairway, then the insurer usually pays the claim. Claims stemming from property that’s defective because it contains your defective product or work are also excluded. For example, if a manufacturer’s flawed widget causes laptops to explode, their insurer probably won’t pay the ensuing claims. This exclusion also eliminates coverage for product recall. However, business owners can get product recall insurance to cover costs associated with taking products off the market. Many businesses have some degree of product liability exposure without realizing it. Anyone who supplies goods or services to consumers can be held liable if those goods or services cause harm. If a business owner faces a product liability lawsuit, their completed operations coverage kicks in to pay for their legal fees and other costs. Because products-completed operations coverages comes in general liability insurance, our top providers tend to be carriers that can write solid general liability policies for small businesses in a wide range of industries. We also included brokers that work with multiple carriers to provide greater choice and a provider that specializes in standalone product liability policies. CoverWallet is an online business insurance brokerage that works with top carriers like CNA, Liberty Mutual, and Chubb. Its relationships with insurers allow small business owners to fill out a single application to compare general liability quotes from multiple top providers. Business owners should use CoverWallet when they want to shop around but need coverage fast. CoverWallet’s online application takes less than five minutes to complete and returns quotes instantly for most businesses. The Hartford is a national carrier that sells products for businesses of all sizes but has a team dedicated to small business accounts. They’ve developed a number of products geared to small business owners, including specialty general liability for high-risk industries. The company’s specialty general liability product has limits up to $25 million and coverage options for both discontinued products and international exposures. 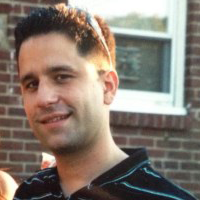 This makes The Hartford the ideal provider for manufacturers and wholesale-distributors. Insurance321 is an online insurance marketplace that connects business owners to the best insurer for their unique risks. Once an owner submits preliminary information, a representative contacts the business owner to get more details about their operations. The company’s technology then matches the business owner to the right insurance provider. This process makes Insurance321 the best choice for business owners who know they need coverage but aren’t sure if they want general liability insurance with products-completed operations coverage or a standalone product liability policy. In either case, Insurance321 can direct them to the correct options. Veracity Insurance Solutions is a national brokerage that specializes in product liability for hard-to-insure industries like manufacturing, importing, and distributing. It can write policies in any state, and its standalone product liability insurance has a low minimum premium of $1,000. The low minimum premium on a standalone product makes Veracity the best insurance broker for a number of niche industries including manufacturers of cosmetics, e-cigarettes, and sporting goods. Veracity can even offer coverage to startups and hard-to-insure ventures. Heffernan Insurance Brokers is a small insurance agency with a national presence that focuses on niche markets including construction. The company has a team of construction specialists who can help everyone from general contractors to artisan tradespeople get their ideal liability insurance policies. Getting the right completed operations coverage is essential in the construction industry, but the ins and outs of contracts and subcontractors can make liability issues tricky. Contractors should consider working with Heffernan Insurance Brokers because it has a team of experts with tons of industry experience who can help business owners navigate coverage needs. Products-completed operations coverage costs depend mostly on the type of products or services you provide, and the revenue earned from those products and services. 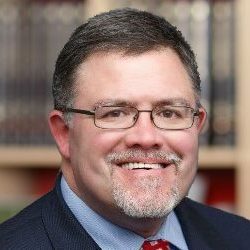 General liability with completed operations coverage run about $400 to $600 for most small businesses while standalone product liability premiums for low-risk products are $1 to $2 per $1,000 in sales. Manufacturers run a high risk of product liability lawsuits that often means they want to a standalone product liability policy. Businesses with low risk, even those that sell goods to consumers or provide services that can cause damage, usually find sufficient coverage with their general liability’s products-completed operations coverage. Completed operations coverage in general liability insurance has a separate aggregate limit separate from the general aggregate limit. An aggregate limit is the total amount that insurers pay for claims throughout the policy term. Most claims count against the general aggregate, but products-completed operations claims only impact the products-completed operations aggregate limit. Selecting a lower limit on your product-completed operations aggregate limit can reduce your overall premium. However, that may mean you don’t have enough coverage if you end up in court. This makes it important to balance what you want to pay each year against how much a product liability lawsuit might cost. The simplest way to get products-completed operations coverage is to buy general liability insurance. There are a few things you need to know about it to make sure your business is protected. These three tips can help you get the appropriate products-completed operations coverage. Insurance is never one-size-fits-all, and that is especially true when it comes to products-completed operations coverage. To get the appropriate amount of coverage, you need to examine your exposures closely. One way to make sure you’ve accounted for all your product liability risks and gotten the appropriate coverage is to work with an insurance agent or broker. They can walk you through your exposures and answer any questions about coverage, endorsement options, or adding subcontractors to your policy. Business owners may be tempted to drop their products-completed operations coverage when their business is no longer operational. However, doing that may mean they end up paying for a product liability claim out of their own pocket. Most small businesses have products-completed operations coverage in their general liability insurance to guard against product liability risk. However, some small businesses may need a standalone policy to get sufficient coverage. This is particularly true for larger businesses, manufacturers, and businesses with products and services that are especially risky. Imagine a retailer who sells children’s toys. As a retailer, their main concern is their customers, so they’ve opted for a general liability policy that includes products-completed operations coverage. This way, they have insurance for customer injuries that occur in the store and injuries their products cause outside of the store. Their products-completed operations coverage may seem unnecessary until a customer claims their child was injured by a defective toy. The customer’s lawyer will likely name everyone involved with bringing the toy to market in the lawsuit, including the retailer. Luckily, the retailer’s products-completed operation coverage can pay for their defense. However, this situation could play out differently for the manufacturer of the toy. First, the manufacturer is much more likely to be found liable for the defective product. Moreover, they may face multiple lawsuits based on the same defective toy. Each lawsuit eats away at their products-completed operations aggregate limit and the per occurrence limit in their general liability policy. With a standalone policy, the toy manufacturer is less likely to exceed its coverage limit, which could be a real risk if its only product liability coverage is part of their general liability policy. Hopefully, we’ve answered most of your questions about products-completed operations coverage. However, if you still have questions, please post them in the comment section below or in our forum. Here are some of the most frequently asked questions about products-completed operations coverage. What is the products-completed operations hazard? The products-completed operations hazard is a term that identifies the risk business owners take on by bringing products or providing services to consumers. General liability policies define the hazard as all bodily injury and property damage occurring away from premises you own or rent and arising out of your product or your work. Product recall insurance covers the cost of getting a defective product off the shelves. Policies typically pay first- and third-party expenses associated with both voluntary and involuntary recalls, such as collecting, disposing, and replacing recalled products, public relations campaigns, and crisis management. These costs are not typically paid for by products-completed operations coverage. What is extended completed operations coverage? Extended completed operations coverage is an endorsement contractors add to a project-specific general liability policy. The endorsement extends the completed operations coverage for up to 10 years beyond the policy term. This way, a claim is covered even if it occurs after the policy has expired because the extended completed operations coverage is in effect. Most small business owners face some product liability risk, which is why standard general liability insurance includes product-completed operations coverage. However, those with high-risk may need specialty insurance, like a standalone product liability policy. Business owners need to assess their risk to determine the coverage limits that make sense for them. CoverWallet is an excellent source for small business owners who want either general liability with products-completed operations coverage or product liability insurance. You can get individual guidance from insurance professionals and use its simple application to get a quote in minutes.